The Achieving TABE Success family is designed to provide complete skill preparation and practice for TABE 9&10, encompassing Reading, Mathematics and Language, for levels E, M, D and A. This series of books will help students achieve NRA gain through targeted instruction that specifically addresses TABE 9&10 skills. TABE 9&10 Correlation Charts - Each text contains a TABE 9&10 Correlation Chart that links each question to targeted skill lessons, enabling instructors and students to build a personalized study plan based on skill level strengths and weaknesses. Pre-tests and Post-tests - Each workbook begins with a pre-test and a skills correlation chart to help diagnose strengths and weaknesses and determine TABE readiness. The format of each pre- and post-test matches that of the actual TABE test. Targeted TABE Skill Lessons - Each lesson specifically targets a TABE skill. Students work with the innovative lesson format that provides step-by-step instruction to help insure success. Introduce clearly defines, explains, and illustrates the skill, and includes examples. Practice presents work related to the skill just introduced. Apply reinforces the skill through activities and exercises. Check Up evaluates student comprehension. Unit reviews are divided into two parts: Review, which summarizes unit content, and Assessment, to determine student understanding. For many, American politics and government have never been more interesting. And it's never been more important to understand America's complex and fascinating political system. Need help making sense of what's going on in the White House, Congress and the courts? Who doesn't? Let AMERICAN GOVERNMENT AND POLITICS TODAY: Brief Edition, 2018-2019, be your guide. Find out how easily and effectively you can participate in today's political process. Learn about all the key components and concepts of American Government. And get clear on how our political system is supposed to work, your roles and responsibilities--and what you can do to make a difference. You'll like the colorful design and the affordable price, too. The "Fast-Track Series" is designed to prepare AMT applicants who are seeking Federal Aviation Administration (FAA) certifications for the full range of material, this guide offers current test questions, answers, detailed explanations, illustrations, and oral and practical study outlines to the FAA's Airframe Knowledge Exam. The series is designed in a "fast-track" format for increased comprehension and retention of the studied materials. This guide also lists and identifies all the FAA Learning Statement Codes (LSC) that the FAA uses on their Knowledge Test Reports, which are useful for test takers to find out what their weak areas are if they missed any questions on their FAA exams. This volume of the series deals with both parts of the "Airframe" section of the FAA Knowledge Requirements for Aviation Maintenance Technicians. This "software bundle" includes softcover book, computer testing supplement along with a code to download ASA Prepware software for further test practice. Interested in a practical introduction to the human service profession? If the answer's yes, then AN INTRODUCTION TO HUMAN SERVICES, 9th Edition, is for you. Drawing on their extensive experience, the authors define human services, review the historical development of advocacy, and examine service delivery models and processes. They thoroughly explore the current state of this rapidly evolving profession as well as the essential skills you need to succeed within it. You'll gain a solid grounding in such fundamental concepts as serving the whole person, using an interdisciplinary approach, interacting with helper and client, preparing generalists, understanding multicultural influences, and empowering clients. Detailed case studies give you frontline perspectives -- and prepare you to effectively address issues you're likely to encounter as a helping professional. 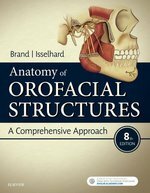 Anatomy of Orofacial Structures: A Comprehensive Approach, 8th Edition, gives you a clear understanding of oral histology and embryology, dental anatomy, and head and neck anatomy - all in a single resource. With new clinical content, a new chapter on the anatomy of local anesthesia, and an outstanding new full-color art program, this new edition is perfect for anyone studying to be a Dental Assistant or a Dental Hygienist. In addition, it offers the benefits of a combined text and student workbook, with review questions and unit tests, as well as detachable flashcards for on-the-go study - making this one product a complete learning package.